The U.S. State Department confirms that "some" U.S. government personnel in Havana on official duty have reported "incidents which have caused a variety of physical symptoms." A spokesperson for the State Department's Bureau of Western Hemisphere Affairs says the department does not have "definitive answers on the source or cause of the incidents." "What this requires is providing medical examinations to these people, initially when they started reporting what I will just call 'symptoms,' it took time to figure out what it was," State Department spokesperson Heather Nauert said on Wednesday. "We're monitoring it." A source familiar with the incidents said Thursday that U.S. officials are looking into whether the incidents were caused by a possible type of acoustics device that was in or outside homes of embassy workers provided by the Cuban government. State Department employees suffered loss of hearing, constant painful headaches, sleeplessness, exhaustion and other symptoms. The source says as many as 8 or 9 USG employees had their assignments cut short, but some affected by the incidents still remain on the island who were "encouraged not to leave." Dozens of embassy employees reported the incidents that began in late 2016. U.S. officials in Cuba suffered "physical symptoms"
Nauert told reporters that while the "incident" appears to have only affected State Department employees and not private U.S. citizens in Cuba, "we don't have any definitive answers about the source or the cause of what we consider to be incidents." On May 23, the State Department took punitive action and asked two officials accredited to the Embassy of Cuba to depart the United States. Those officials have left the country. The Associated Press reports that about five diplomats -- several with spouses -- were affected and that no children were involved. Late Wednesday night, the Cuban government released a statement saying that "Cuba has never permitted, nor will permit, that Cuban territory be used for any action against accredited diplomatic officials or their families, with no exception." 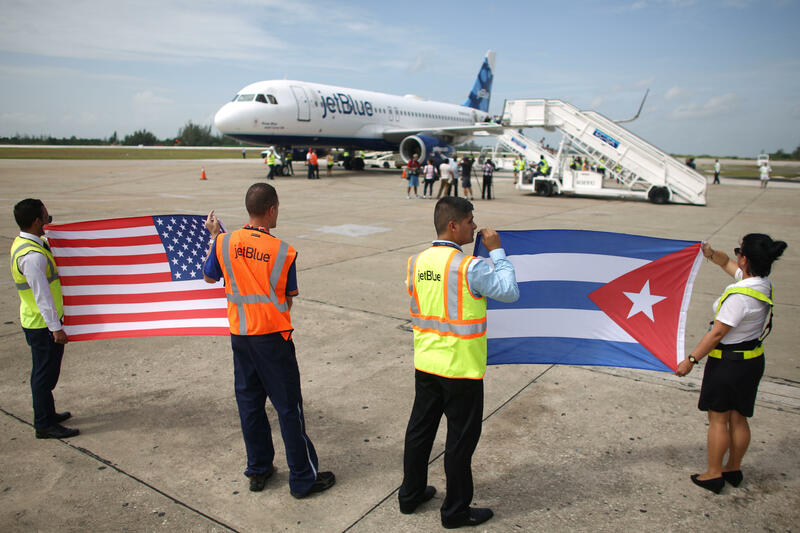 The statement also added that the Cuban Foreign Ministry was informed of the incidents on February 17 and launched an "exhaustive, high-priority, urgent investigation at the behest of the highest level of the Cuban government." The State Department says it has reminded the Cuban government of its obligations under the Vienna Convention to protect U.S. diplomats and says it's taking these incidents "very seriously" and is "working to determine the cause and impact of the incidents." "We requested their departure as a reciprocal measure since some U.S. personnel's assignments in Havana had to be curtailed due to these incidents," Nauert said, according to the AP. There were no additional details about the symptoms. The State Department referred CBS News to the FBI, which has offered no comment.